The New Patriotic has expressed sadness at the passing of Dr Kwadwo Opare-Hammond, Managing Director of Precious Minerals Marketing Company, at the Korle-Bu Teaching Hospital. He died on Friday, January 11, after a short illness. Nana Boakye, National Youth Organiser of the New Patriotic Party (NPP) confirmed this to the Ghana News Agency in an interview. 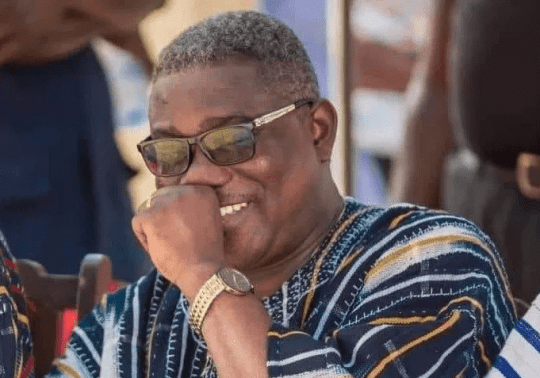 He said Dr Opare-Hammond was sent to the Kotoka International Airport Clinic after arriving from a trip but was subsequently transferred to Korle-Bu to receive a specialized care where he passed on. Mr Opare-Hammond was the first Member of Parliament for the Adentan constituency when it was separated from the Ashaiman Constituency. He was appointed Managing Director of the mineral-trading firm in 2017.